Being a gentleman (that word should probably be in quotes) of both Korean and Cajun descent, it shouldn’t be much of a surprise that I’m a fan of spicy food. I’ve also been known to delicately nibble on the occasional confection while adjusting my top hat and monocle. Feel free to replace that image with me sitting in a big tub of chocolate while my handlers pour buckets of Milk Duds over my head. I’m not saying that one of those images is more truthful than the other, but I may not actually own a monocle. The link shows a box of two, while my box clearly contains nine. That’s because my wife totally loves me. Also because it slows the inevitable moment when I start waving the empty husk around in the air and crying. The first thing you notice when you tear open the box with your teeth is the fruity bouquet of the habanero peppers. This is an exceedingly good sign. Habaneros have a distinct and delightful aroma and you can tell instantly that you’re not dealing with artificial ‘habanero flavorings’ here. 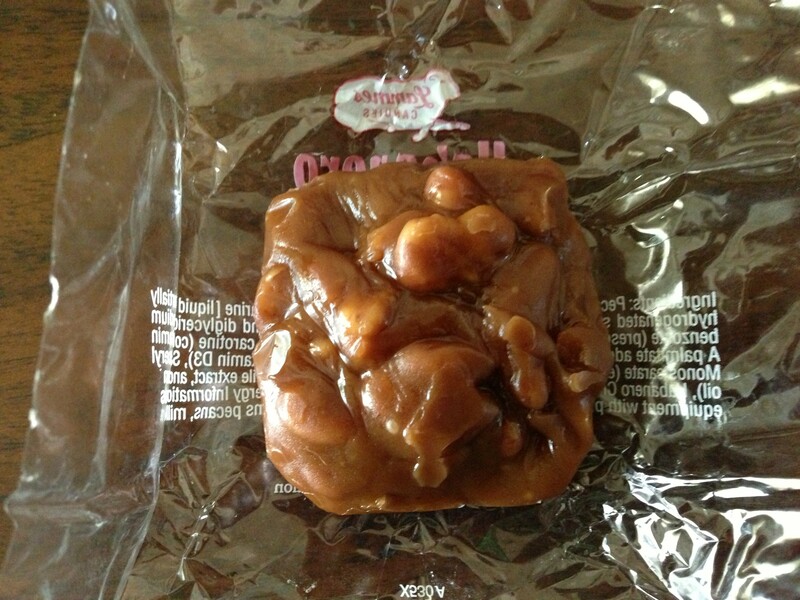 The pralines themselves are individually wrapped and about the size of your palm. They also have a pleasant heft to them, as a good praline should. 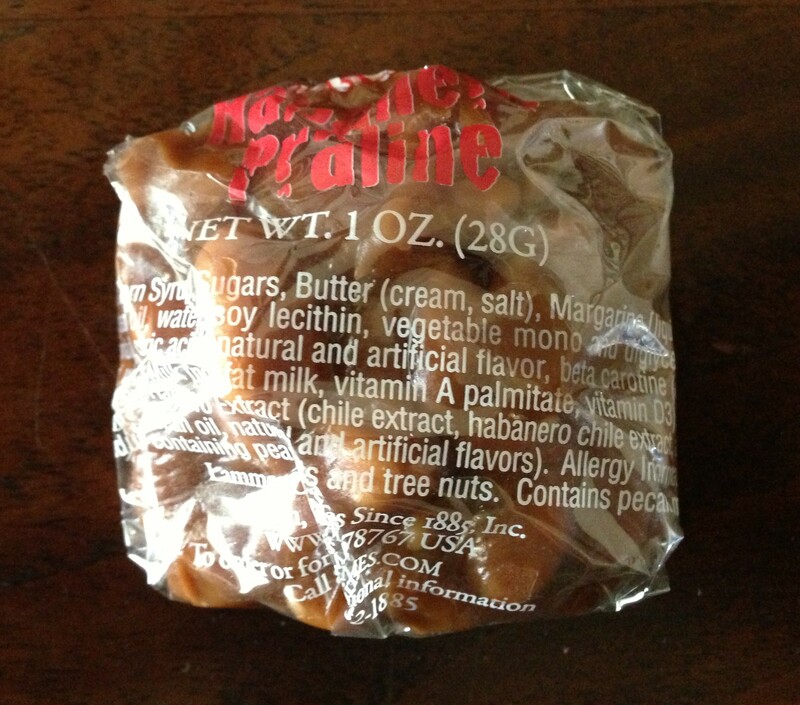 Can a mere plastic wrapper contain all this chile and praline goodness? Duh. That’s what it’s for. The wrapper opens easily, with no fussy peeling or undignified tearing with your teeth. The first thing that happens when you unwrap one of these gems is that the sharp smell of the chile is joined by the rich scent of the praline itself. If you’re not familiar with pralines, they’re a delicious mix of sugar, butter, cream, and nuts. Also, what’s wrong with you? Go eat some pralines already, sheesh. Mmm, nuts. Well, I guess it’s true that you are what you eat. Which makes me sweet, spicy, and sticky. Don’t ask. The first bite proves that the praline part of the equation is spot on: chewy and smoothly rich, like a cross between a dense nougat and a caramel. The nuts provide an excellent textural addition while at the same time giving the sweetness a bit of nutty earthiness to contrast against. After the initial sweetness hits you, then the habanero notes come through with a spicy finish, making you want to take that next bite right away to offset the heat with more sweetness. If you’re a fan of fresh chiles in general or habaneros in particular, then you’ll love these. If those flavors aren’t your thing, then you’ll probably want to steer clear. This isn’t a praline that just happens to be spicy, it’s a confection that fully embraces and celebrates the unique flavor of the habenero. Personally, I’ll eat fresh habanero in pretty much anything, so these are a real delight for me. I urge any of you that are fellow chile-heads to give them a shot. Story time. A few weeks ago I was in Minneapolis doing top secret and mysterious things, the most important of which was shoving delicious food into my largest head orifice. A buddy joined me and we ended up at this joint, which was filled to the rafters with brilliant and amazing comestibles. After the meal we were forced at gunpoint to order dessert and some coffee to go with it. Quick aside, it was tres leches cake and it was crazy good. It came sitting in a bowl of sweetened milk, like a fortress of moist, frosted cake surrounded by a tiny moat. But I digress. The coffee arrived and we were so mesmerized by the cake that we didn’t even glance at it before taking a sip. And then we forgot all about the cake. Okay, maybe we didn’t forget it completely, but eyebrows went up and yummy noises were made. It was the best coffee I’ve had so far, no exaggeration, and that includes fancy preparations with exotic equipment from snooty coffee bars. 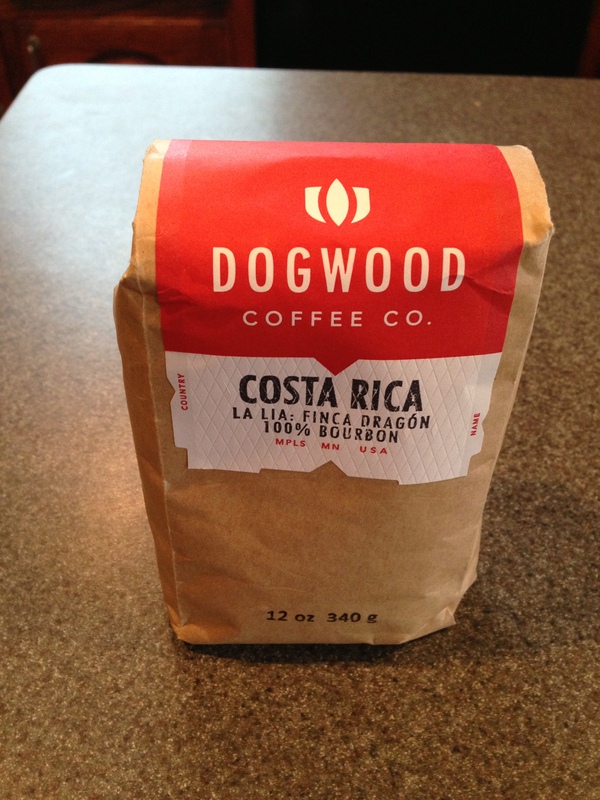 We found out that it came from a local roaster called Dogwood Coffee and we reminisced fondly about it every time we had coffee after that. Normally that would be the end of it. Dogwood Coffee is in the distant northlands above Texas, which may as well be on the moon as far as my coffee needs go, so I figured I’d just remember to get a cup the next time I was in Minneapolis and count myself lucky. The bag contains pure gold. And by gold I mean beans. Beans go in. Bean flinders come out. You actually can buy happiness. You just have to grind it up yourself. 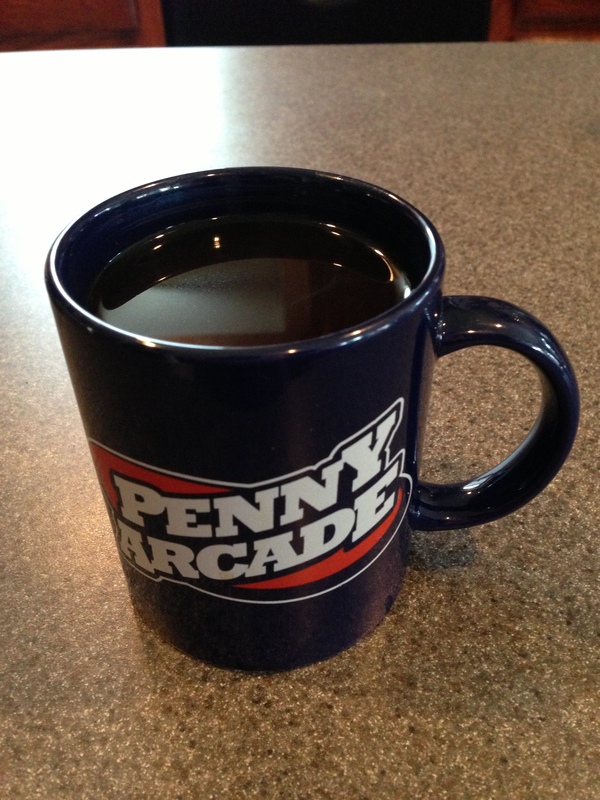 Aeropress + PA Mug. Accept no substitutes. 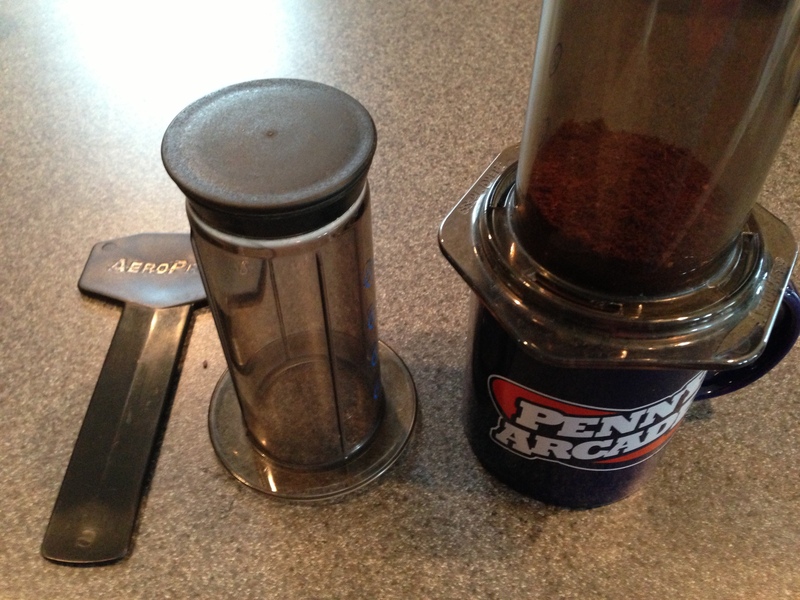 Quick note about the Aeropress. I absolutely cannot believe this thing costs like twenty-six bucks. 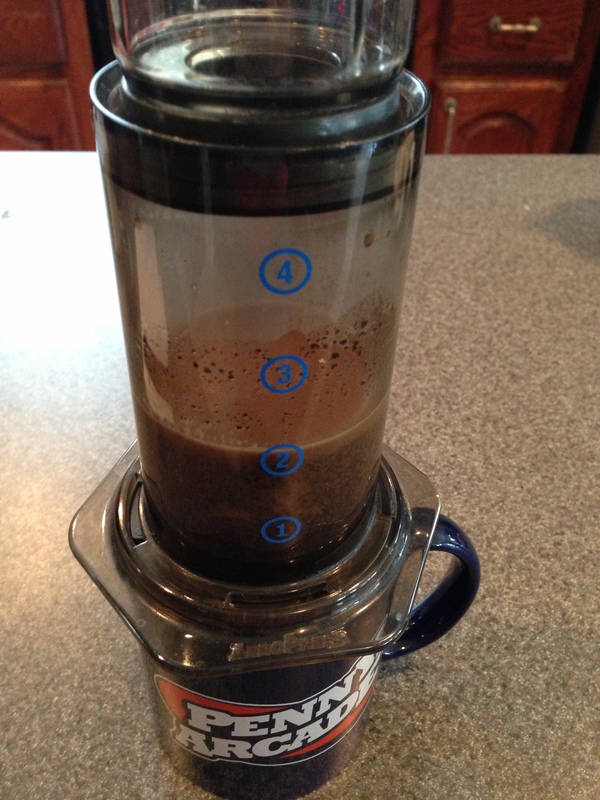 It cleans up in five seconds (eject coffee grounds in puck form -pop- rinse in sink – done) and the coffee is amazing. Check out how many coffee shops have put up reviews and tutorials on YouTube. You don’t see a lot of cheap but awesome gadgets in this life, but I assure you, this is one of them. Waiting to plunge. Not pictured: me hopping from foot to foot and yelling STEEP at the top of my lungs. You have no idea how hard it was to take this picture before taking the first sip. I basically just snapped off a quick one and threw down my camera without checking to make sure it looked good. That’s quality blogging right there. I made some noises I’m not proud of when I drank this. Don’t care, had coffee. Was it good? Was it worth the endless grinding and complaining? Yeah, totally. I’m gonna drink all these beans and then I’m going to order more from the distant lands of Minnesota. And Cthulhu help me, I’m gonna grind every single one of them, too. The British have tea and biscuits. 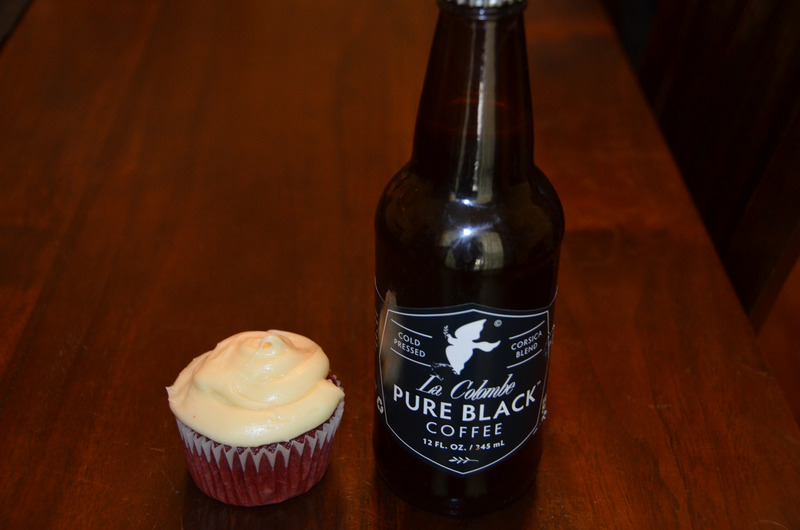 I have coffee and cupcakes. That makes me the winner. I’ve admitted this before, but I don’t really know from coffee. I like it, yes, but not in some educated, connoisseur-esque way. I’m more like a barn owl that likes mice. I know a good mouse when I cram one in my beak, but I’m not exactly going to be able to wax poetic about oakey notes or hints of cricket or whatever. I’m just coffee-aware enough to drink it black and register a preference for French press over coffee served from a scorched pot with an orange plastic band around the top, and that’s not saying a whole lot. But, because I’m all about the self-improvement, especially when combined with eating something fancy, I decided to give this bottled black magic a whirl. 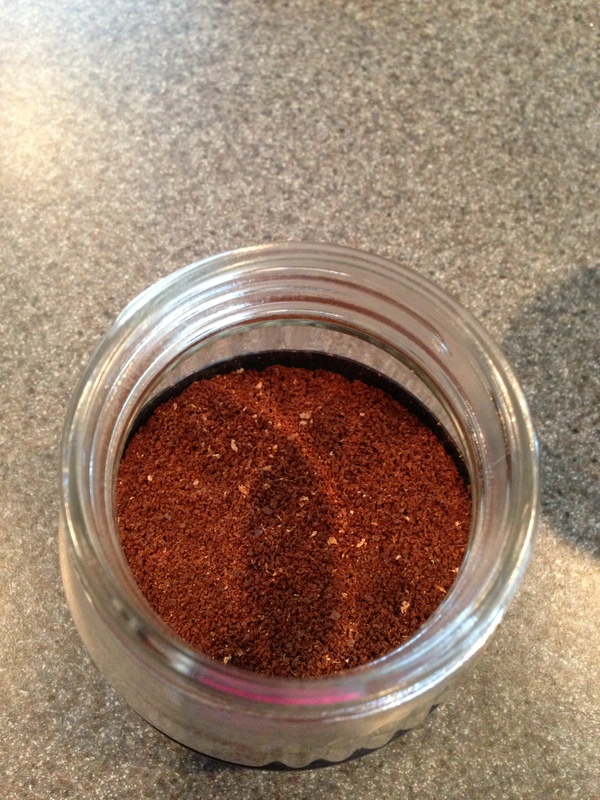 @dolohov@lacolombecoffee Had some last week. Best iced bottled coffee ever. Maybe even outside the bottle category. I’m just glad Chuck wasn’t advocating eating roofing nails or Drano, you know what I’m saying? It’s a hell of a lot harder to type these blog posts from the ER. Long story short (too late), I done got me some. There’s marketing stuff and technical coffee stuff that you can read about here, but since I’m not qualified to tell one from the other, I’ll just say that their big claim about not being bitter is spot on. It has all the richness and depth of flavor that you want from really good coffee, but none of the battery acid kicker on the back-end that you learn to put up with when drinking lesser brews. It’s pretty much the perfect coffee to use if you want to trick your friends into giving up sugar and cream and marscapone-apple-caramel or whatever people are putting into their coffee these days. Tell them black coffee is delicious and not bitter at all, then give them a cup of this. Hilarity will ensue next time you see them, faces puckered up and clenching a mug of the regular stuff. Is it weird that I like a food more if it can be used to enrage my friends? Of course not. Have some coffee. Mad science isn’t just for breakfast anymore. My pal Erik is a coffee snob aficionado, who is constantly laboring to educate me in the ways of the bean. He’s thinking about stuff like roasting times and water temperature, while I’ve just recently stopped drinking coffee flavored sugar and cream. 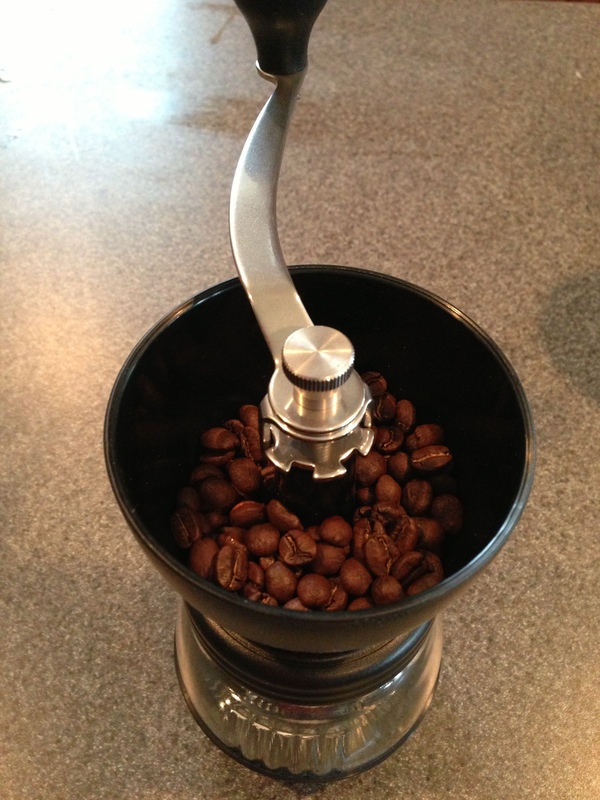 I’m basically a coffee luddite. It’s hot. It has caffeine in it. I’m happy. Or so I thought. Every once in a while, and almost always when hanging out with Erik, I’ll have a cup of something that surprises me. Something more than just a cup of scalding bitterness. 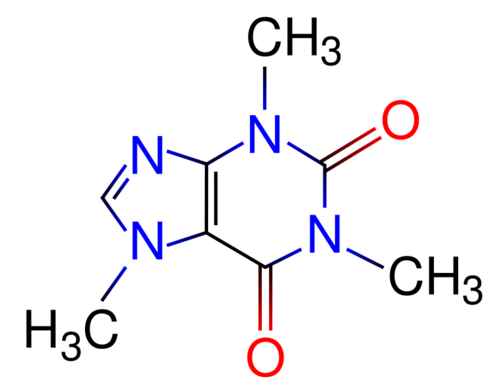 Something that makes me think that there might actually be something to this whole coffee thing. 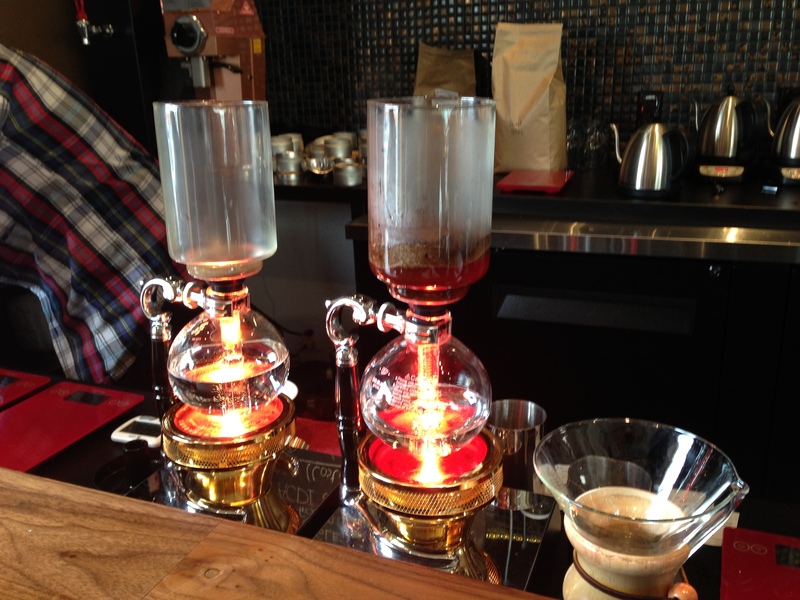 The picture above is from today’s lesson in coffee: the siphon. We stopped in at Ascension Coffee in Dallas and had the gurus there perform some coffee magic for us. I have to admit, the whole thing was kind of surreal to me, but the coffee was excellent. I’m all about experiencing new things, especially if it involves food of any kind, and this was without a doubt the most delightfully cool coffee thing I’ve ever tried. Growing up, I was never much a fan of turtles. They were okay, I mean I’m not exactly going to turn my nose up at a blob of chocolate, caramel, and nuts (duh), but they were nothing particularly special. I saw them at the holidays, typically heaped in a bowl, fresh from being extracted from their crinkly plastic trays, but I usually passed them up in favor of better, more exciting delights sitting nearby. Turns out, I had no idea what a turtle actually was. First of all, take a good look at the picture up there. Notice that those babies are not flattened disks of waxy chocolate with a few half-hearted bulges on offer. There’s chocolate, but it’s the good stuff. And the bulges? They cannot be contained. There’s literally too much good stuff bursting out of there to cover up. Of course, that’s not the whole story. The real reason that the nuts are exposed (ahem) is that it’s the only way to let them retain their toothsome crunch, not too crisp, not too soft. A great pecan or almond or cashew is a complex mix of texture and sweet and salt, and should not be allowed to smother inside the candy. The caramel that glues the insides together is critical as well. It has to be soft and buttery, with just enough presence to add richness to a bite without overpowering it, silky and not stiff and gluey so that it provides a luscious lubrication to each turtle instead of presenting a defiant challenge to your teeth. Creating real turtles, the kind that deserve the name, turns out to be an art. And a difficult one. Which is why we see them so rarely. My guess is that you can get real turtles somewhere in your city. There’s a chocolate shop out there with your name on it if you look. But if you want to be sure, and I think you do, then I’m gonna recommend you give Turtle Alley a shot. And if you really trust me, get the chipotle ones. Really. And it was awesome. Street performances, paper lanterns, live music using traditional Chinese instruments…all fantastic. Also, not what I want to tell you about. See, this event was part of the Chinese New Year celebrations that started last weekend on the official day. As such, it was partly inside the museum and partly out in the surrounding streets, where throngs of cold but jubilant celebrants could watch martial arts demonstrations and a spectacular traditional dragon dance. It was basically a big old street party. And you know what street parties bring, right? Street food! I know, I’m a bad man. I was standing next to twenty-foot-long gyrating dragon and gazing longingly at the row of world-class food trucks down the block. It was too dark to get a good shot, so you’ll have to settle for this one from their site. If you look closely, you can see that the side of the truck says, “Gourmet Korean Tacos”. What it should say is, “Minds blown, line forms to the left”. First of all, the tacos. Soft flour tortillas filled with kalbi (beef), daeji (pork), ddak (chicken), or dubu (tofu) and a stunning collection of crisp veggies, sesame soy vinaigrette, Korean salsa roja, spicy mayo, and carmelized kimchi. It’s amazing. I had the kalbi and the daeji, and they were tender and sweetly spicy, and the taco itself was crunchy and bursting with tangy flavor, followed by a deep and mellow heat. That stuff on top? That’s what caramelized kimchi looks like. I know, looks weird. Tastes like pure unadulterated joy. Spicy and dense and tangy, I could probably just eat that and call it a day. I probably don’t have to tell you about a fried, bacon wrapped hotdog. Should be illegal, glad it isn’t. The spicy sauces were just short of scorching and perfectly offset the complex flavors of the dog, making every bite a blissful combination of meaty and crisp textures, sweet and spicy flavors, and hot and cold sensations. Finally, KIMCHI FRIES. I’m not going to say much about these except that the only thing that could possibly make caramelized kimchi better is to smother french fries in it and drizzle spicy sauce and shredded cheese over it. I honestly don’t know how many of these you get in an order, because they almost didn’t make it to the table. My advice, order two and eat them hunched over like Gollum so your ‘friends’ can’t steal any. So. I totally enjoyed celebrating the Year of the Snake. I did. But I may have enjoyed celebrating the Truck of the Ssahm a little more. If you want to join me in stalking them around the city, go here to check their schedule of appearances. You have a lot going on right now, I get that. Me, too. But don’t get too bogged down in it. For the record, my wife’s sister is a wonderful lady. But today, she became a wonderful, lovely, and charming lady whose character and intelligence cannot be overstated. Why? Because chocolate, that’s why. 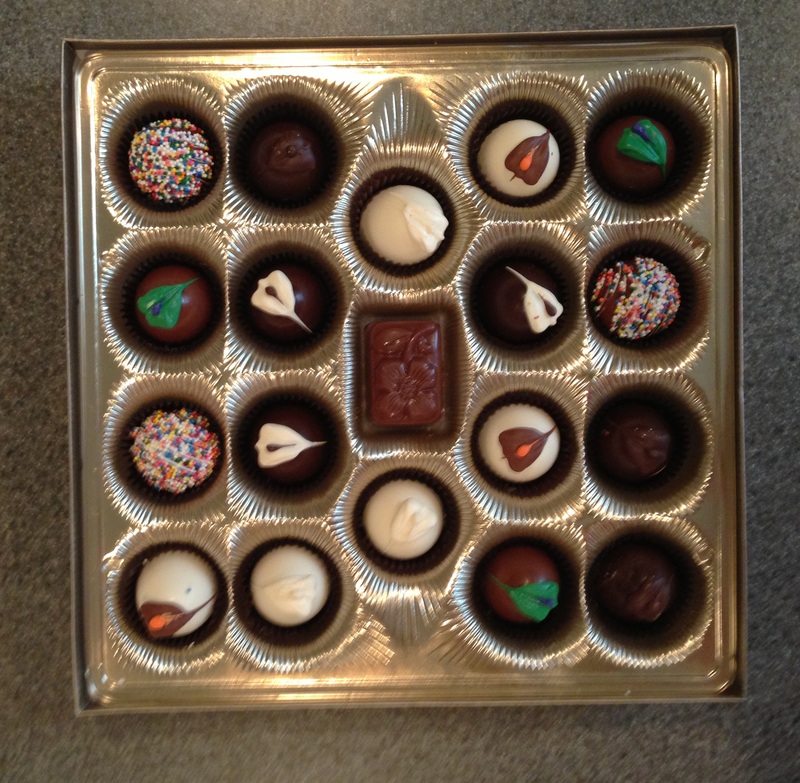 Don’t get me wrong, she was terrific before I received my first mail-based truffle bombardment, but there’s something about creamy ganache centers that really highlights her better qualities. Like her taste in gifts and brother-in-laws, for example. Of course, setting me up to receive chocolate on a regular basis might have less to do with how wonderful she is and more to do with how annoying I am when I’m out of chocolate, but that’s probably not something I should dwell on. In any case, if I learned anything today besides who my favorite relative is, it’s that the best Christmas presents are the ones I get ALL YEAR LONG. Now, if you’ll excuse me, I’m late for my date with a sugar coma. This has been one busy year so far. All four days of it. I’m not complaining, mind you. The new dog is a delight and the new book schedule hasn’t caused me to murder anyone yet. Nonetheless, please join me today in a celebration of coffee. Precious, precious coffee. I wanted to take a picture before I started eating it. I really did. Chefs famously ask each other what they would eat as their last meal. Invariably, when they give their answers, eyes full of wonder and ineffable memories, it’s some simple thing done perfectly, usually from their youth. 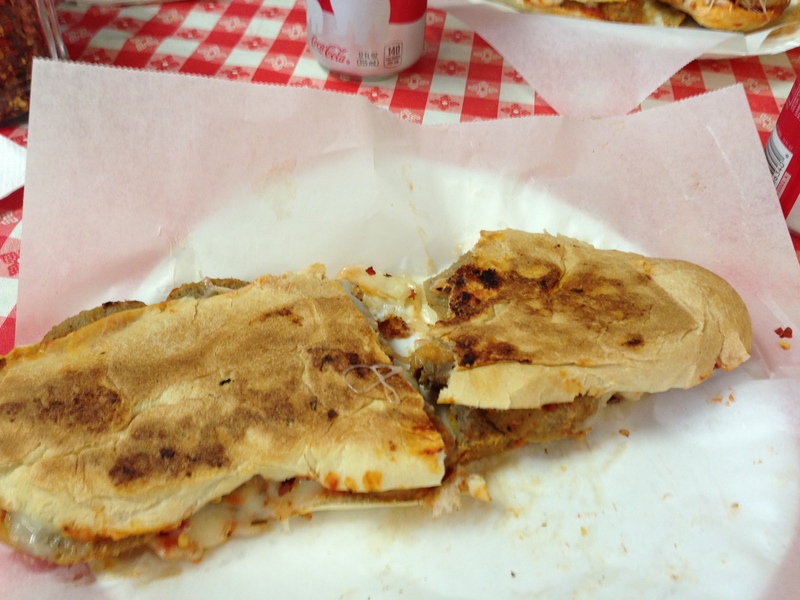 For me, it’s a meatball poboy from Anthony’s Italian Deli in Baton Rouge. It doesn’t look like much, does it? You can’t really tell how hot and crisp the bread is on the outside or how perfectly soft it is on the inside. You can barely make out the legendary handmade meatballs and mozzarella, and you certainly can’t smell the tang of the heavenly marinara sauce. But if you are ever able to put one of these in your mouth, it will change your life. It’s so hot you can barely pick it up and the combination of crisp crunch and molten creamy interior is astonishingly luxurious. A complex, deep, sharply defined flavor that is far more than the sum of its parts follows and goes from intense to a mellow finish with each bite. There are very few food experiences that can match it. The same good people own and work in the tiny deli today that were there when I was a teenager. One day that won’t be true, but today it was. 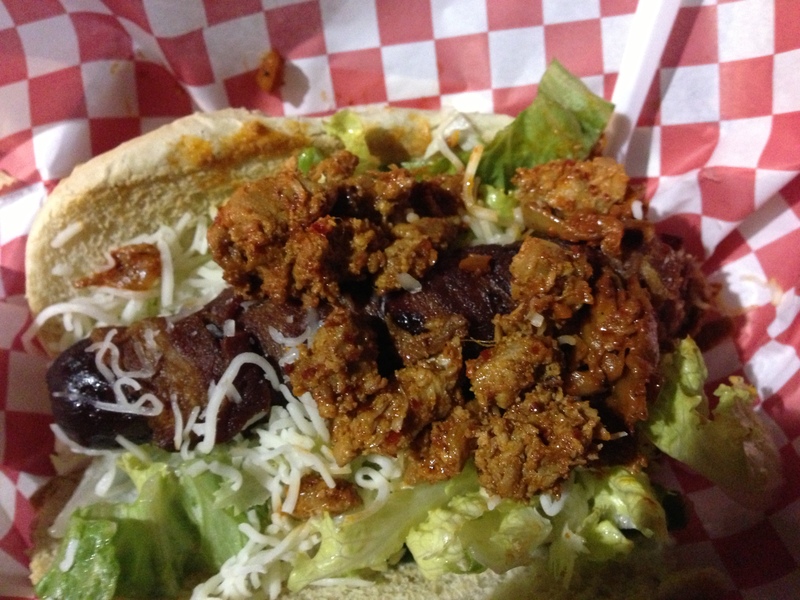 And the meatball poboy was just as good, just as transporting and sublime as it has ever been. Sometimes you really can go home again. Click here to be notified of giveaways, contests, and new books!